Cookies are one of my favorite things to bake. They are usually quick and easy to whip up. Batches of cookies are easy to share with your friends too. 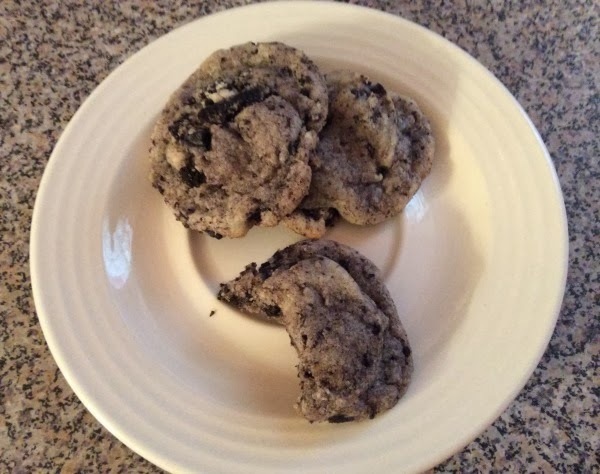 These Cookies and Cream Cookies are sure to be a delight to anyone that loves oreos. They are a soft cookie, which is the kind I love. 1. Preheat the oven to 350 degrees F. Line two cookies sheets with parchment paper (I love that this helps make clean up a breeze). 2. Cream the butter and sugar together. Then mix in the egg and vanilla. 3. On a low speed mix in the flour, cornstarch, and baking soda. Then mix in the crushed oreos. 4. Scoop the dough, I use a small cookie scoop but you can make them larger if you want, onto the pans. Leave space between the cookies. Bake for 8-12 minutes, just keep an eye on them and bake until your desired crispiness. I like my cookies soft, but Tracy prefers crunchier cookies. Transfer to a wire rack to cool completely. 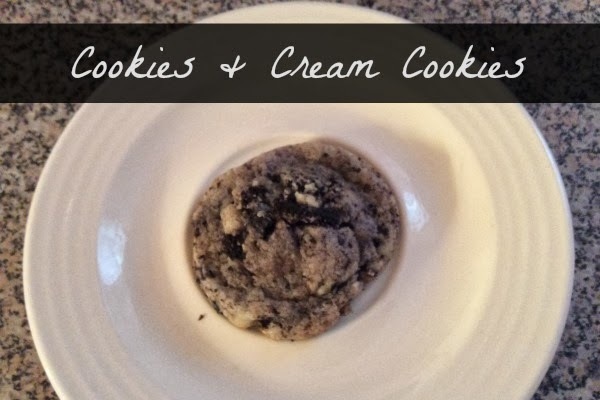 Cookies and cream is my favorite ice cream so I imagine that a cookie like this wont last long in my house, looks heavenly! This sounds perfect! I love cookies and oreos! Will definitely save this recipe! Those would go great with the same type of ice cream :D Yummmmmmmmm! Yummy, it sounds easy! I prefer soft cookies too! 1) When did you begin your fashion/beauty blog and what made you want to start it? 2)Why do you think it is important for people to look after their appearance? 3)Have you spotted any favourite pieces for spring/summer 2014 so far? 4)In your own words/opinion, what makes a stylish person? 5) Who is your style icon? 6)Everyone has days when they don’t feel good about the way they look (be it their skin/weight/hair etc) what is your top tip for ditching beauty blues? 7)Have you any favourite beauty/fashion tips? (it could be anything from knowing your body shape and clothes that compliment it to ensuring to take your make-up before sleep) - I'm sure you have plenty of lovely tips! Um, I need to eat these immediately. YUM. Stealing this recipe!